The message of the ATOAH curriculum is a powerful one: that chronic disease and processed foods are an American phenomenon rather than an African one. The addition of Oldways’ A Taste of African Heritage (ATOAH) curriculum to the Supplemental Nutrition Assistance Program – Education (SNAP-Ed) library will give SNAP-Ed providers the opportunity to bring more culturally relevant nutrition programming to Supplemental Nutrition Assistance Program (SNAP, formerly known as food stamps) recipients. ATOAH is a six-week cooking and nutrition curriculum based on healthy plant foods (like leafy greens, whole grains, and beans) from across the African diaspora. It brings to light a culinary legacy and often-unsung cultural ownership of healthy eating for people of African descent. “The message of the ATOAH curriculum is a powerful one: that chronic disease and processed foods are an American phenomenon rather than an African one. The culinary contributions of African peoples throughout history are flavorful, plant-forward, and—most importantly—delicious, which makes the ATOAH class really enjoyable and approachable for participants,” said Alexandria Evenson, a nutrition educator with the Health Promotion Council, a PHMC affiliate and SNAP-Ed provider in Pennsylvania. African Americans make up about a quarter of SNAP recipients and are disproportionately affected by heart disease, diabetes, and obesity. “A Taste of African Heritage is an influential nutritional tool employing culture and community as means to achieve greater health and wellness. 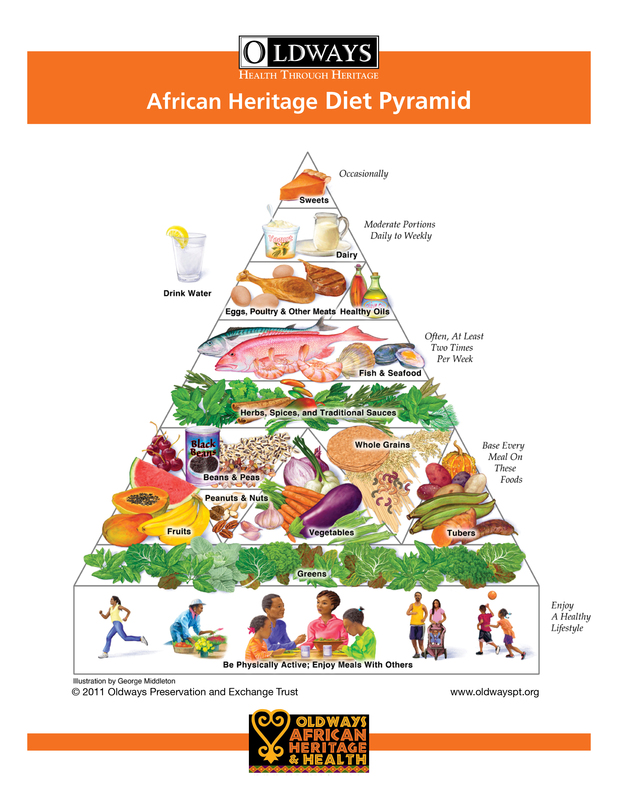 Through ATOAH, we have been able to effectively reach individuals of African descent with dramatic diet-related health challenges,” said Johnisha Levi, Oldways Program Manager for African Heritage & Health. Additionally, 60% of participants have lost weight, 52% have lost inches from their waists, and 33% have lowered their blood pressure. Anyone interested in bringing ATOAH to their communities can learn more here. The SNAP-Ed library is an online database of evidence-based nutrition education and obesity prevention programs for SNAP recipients. The online SNAP-Ed library is used by nutrition educators who provide SNAP-Ed programming, as well as other health educators, administrators, researchers, policy makers, and more. Oldways is a nonproﬁt organization with a mission to bring traditional foods, foodways, and lifestyles—ones that are good for people and good for the planet—to people around the world. Since its founding in 1990, Oldways has improved public health on both grassroots and public policy levels through solutions-based programming and is best known for creating the Mediterranean Diet Pyramid and the Whole Grain Stamp. Find out more at http://www.oldwayspt.org.